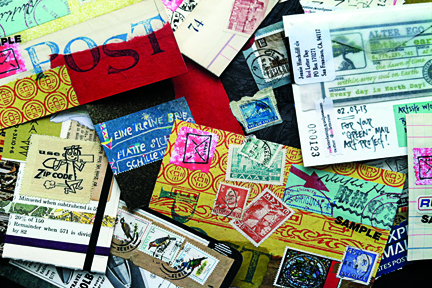 Thanks to all who submitted artwork for “mail/art/book” at the SF Center for the Book! Opening reception: Friday, February 14th, 2014 : 6:00pm – 9:00pm; the exhibition runs from February 14th, 2014 – April 31st, 2014. “mail/art/book” is co-curated by Jennie Hinchcliff and John Held, Jr.; a catalog of the exhibition will be available for sale through the SF Center for the Book. All proceeds from catalog sales go directly to the SF Center for the Book, which is a 501c non-profit organization. Eu é que agradeço a oportunidade de participar. Desejo o maior sucesso para o Evento.